16, AND THEREAFTER - FILE - This Sept. 21, 2018 file photo, shows fighters under the UN backed government on the front lines during clashes in southern Tripoli. 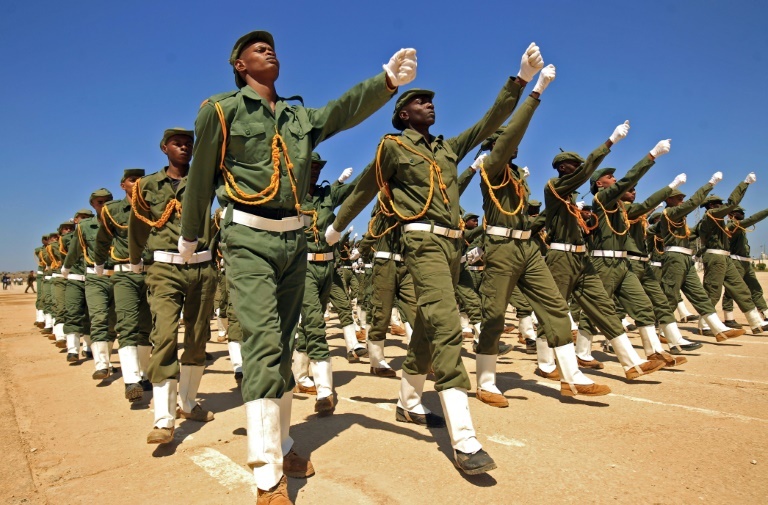 The self-styled Libyan National Army, led by Field Marshal Khalifa Hifter, launched a surprise offensive to retake Tripoli on April 5, 2019. 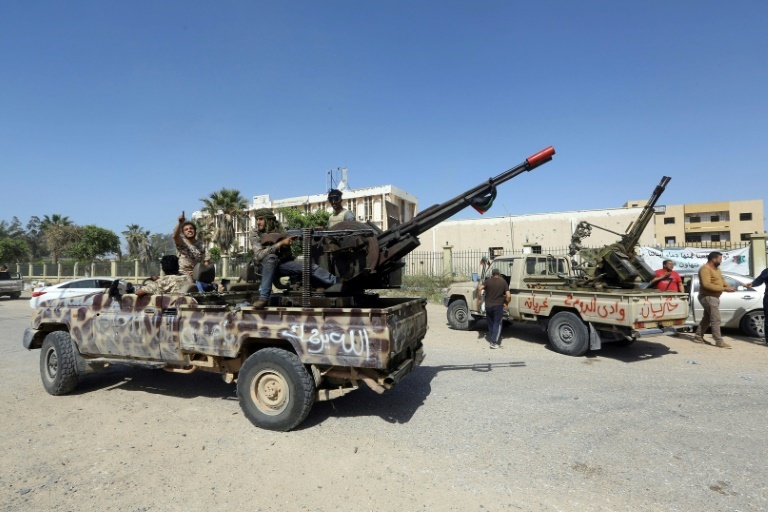 Fighting over Tripoli is pitting the self-styled Libyan National Army, which is led by commander Khalifa Hifter and aligned with a rival government based in the country’s east, against militias affiliated with Tripoli’s U.N.-supported government. Meanwhile, Hifter’s forces said they recaptured Thursday the Tamanhint air base in southern Libya, which had been taken earlier by an armed group affiliated with the Tripoli government. Britain’s U.N. ambassador, Karen Pierce, said, “There is unity around three key points — de-escalation, commitment to a cease-fire, get back into the political process.”___Associated Press writer Edith M. Lederer at the United Nations contributed to this report. Britain put forward the measure after forces loyal to Khalifa Haftar launched an offensive on April 4 to seize Tripoli, a move that threatened to plunge the north African country into deep turmoil. During a closed-door council meeting on Thursday, Russia again insisted that there be no references in the draft resolution criticizing Haftar while the United States appealed for more time to weigh its options, diplomats said. "We want to have a strong resolution... with a united council - everybody behind it - that says who is responsible and what needs to be done." There was speculation that President Donald Trump's administration may be consulting Egypt, a strong Haftar ally, and other players in the region, or with the Libyan leaders themselves, on how to address the crisis. The military commander backs a rival administration based in eastern Libya that is refusing to recognize the authority of the Tripoli government. A British bid at the UN Security Council to demand a ceasefire in Libya faced opposition Thursday from Russia and the United States, raising doubts about prospects for a draft resolution to halt the bloodshed in Tripoli, diplomats said. During a closed-door council meeting on Thursday, Russia again insisted that there be no references in the draft resolution criticizing Haftar while the United States appealed for more time to weigh its options, diplomats said. "We want to have a strong resolution... with a united council - everybody behind it - that says who is responsible and what needs to be done." There was speculation that President Donald Trump's administration may be consulting Egypt, a strong Haftar ally, and other players in the region, or with the Libyan leaders themselves, on how to address the crisis. The military commander backs a rival administration based in eastern Libya that is refusing to recognize the authority of the Tripoli government. I urge all parties to refrain from the use of weapons that put more civilian lives and infrastructure at risk." UN human rights chief alarmed at mass terrorism trial in Bahrain, revoking citizenshipThe UN human rights chief expressed alarm on Thursday at a decision by a court in Bahrain to revoke the nationalities of 138 people, following a mass terrorism trial. “The UN Human Rights Office has long urged Bahrain to bring its overly broad counter-terrorism and counter-extremism legislation in line with its international human rights obligations”, said Ms. Bachelet. Today, almost 8,000 children in South Sudan are still missing or remain separated, in urgent need of family tracing. The peace agreement signed in September 2018 has prompted refugees returning to South Sudan from neighboring countries and given access to areas previously inaccessible. Members of Libyan internationally recognised government forces are seen in Al-Swani area in Tripoli, Libya April 18, 2019. 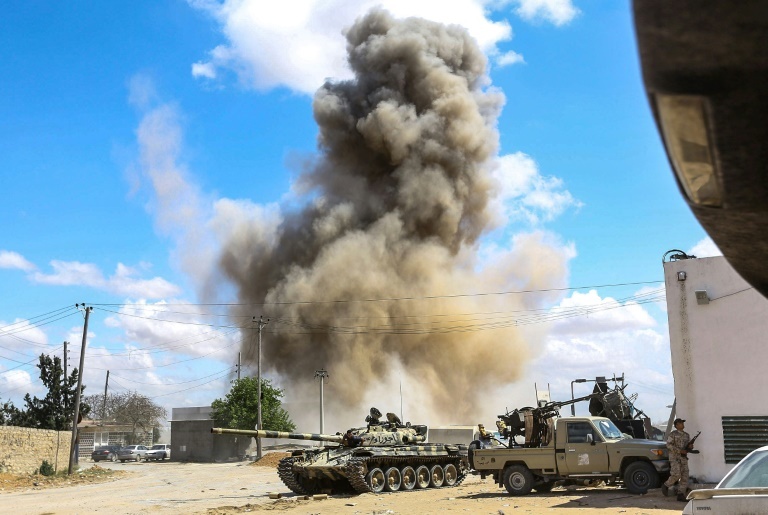 (REUTERS/Ahmed Jadallah)At least 205 people have been killed and 913 others wounded in the armed conflict between Haftar's Libyan National Army and the Libyan armed forces for the control of country's capital Tripoli. The World Health Organisation in Libya wrote on their official Twitter handle, "Toll for armed conflict in #Tripoli is 205 dead and 913 wounded. Ministry of External Affair spokesperson Raveesh Kumar on Thursday tweeted two helpline numbers of Indian Embassy in Tripoli. Embassy Helpline: 00218 924201771"Update on Security Situation in LibyaIndian citizens are advised to observe extreme caution. 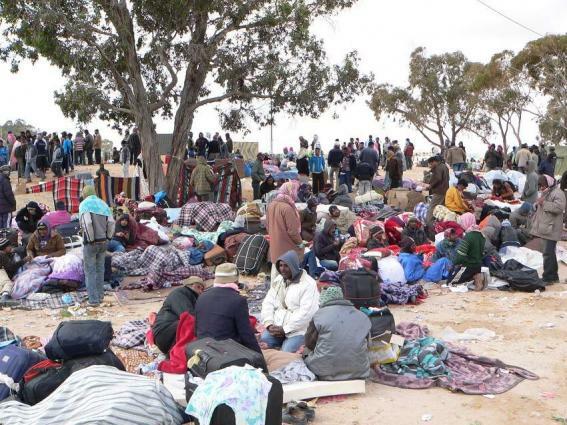 On Wednesday, the Office of the United Nations High Commissioner for Refugees (UNHCR) completed the relocation of 179 of the most vulnerable refugees who were trapped in a detention center amid crossfire in the Libyan capital of Tripoli. The funds will help hospitals in Tripoli acquire needed medical supplies, provide aid agencies with food and relief items, and assist in the safe relocation of refugees, Lowcock said. According to the UN Support Mission in Libya (UNSMIL), 14 people were killed and 40 injured in the attack. In response, armed forces loyal to the Tripoli-based Government of National Accord (GNA) started a military operation against the LNA. According to the World Health Organization, at least 189 people have been killed and another 816 wounded since the start of Haftar's offensive. OTTAWA — Michael Wernick, the clerk of the Privy Council, has bid farewell to the more than 200,000 workers in the federal public service. OTTAWA — Michael Wernick, the clerk of the Privy Council, has bid farewell to the more than 200,000 workers in the federal public service. His farewell message released Thursday expressed how proud he was to serve as clerk of the Privy Council and reminded those still working in government that what they do matters. He said a non-partisan public service that is "guided by values, fuelled by evidence" and "a never-ending quest to learn" is key to the success of the country. "I have great confidence that the public service is in good hands and that you will rise to the many challenges and even greater opportunities of the months and years ahead." The fighting between Libya’s rival factions for control of the country’s capital this month killed 205 people so far, the World Health Organization said, announcing it would deploy medical specialists, including surgeons, to treat the wounded. The clashes, which erupted earlier in April, have threatened to ignite a civil war on the scale of the 2011 uprising that toppled and killed longtime dictator Moammar Gadhafi. WHO said Wednesday it would send medical staff to treat the wounded, whose number has reached 913. Meanwhile, Hifter’s forces said they recaptured Thursday the Tamanhint air base in southern Libya, which had been taken earlier by an armed group affiliated with the Tripoli government. The base is located near the southern city of Sabha and has strategic significance for control of Libya’s south, which Hifter’s forces seized earlier this year before moving westward on to Tripoli. The UN's Libya envoy warned Thursday of "a widening conflagration" in the North African country, as deadly clashes spread south to a key military base. Envoy Ghassan Salame told AFP that Haftar's push had ground to a bloody stalemate with pro-government forces around the capital. Haftar's offensive has again highlighted those divisions. The UN said that Salame would brief the Security Council Thursday "in closed consultations on the latest developments on the ground". Britain put forward a draft resolution calling for an immediate ceasefire and de-escalation, but Russia objected to clauses that criticised Haftar's offensive as a threat to Libya's stability. The UN's Libya envoy warned Thursday of "a widening conflagration" in the North African country, saying international divisions had encouraged strongman Khalifa Haftar to launch his assault on Tripoli. But for now, Ghassan Salame told AFP in an exclusive interview, there was "deadlock" in fighting south of the capital between Haftar's self-styled Libyan National Army (LNA) and the internationally recognised government. "After the very first successes of the Libyan National Army two weeks ago, we are witnessing a military deadlock," he said. UN envoy for Libya Ghassan Salame speaking to AFP in Tripoli / © AFPThe fighting has so far left at least 205 people dead and more than 900 wounded, the World Health Organization said Thursday. Germany, which holds the council presidency, called for an urgent meeting after Tripoli witnessed heavy fighting. A UN-appointed expert on breaches of the Libyan arms embargo has been arrested and kept in a Tunisian jail for nearly a month. Moncef Kartas, a Tunisian-German dual national, was arrested on 26 March. He is one of six UN experts appointed to investigate breaches of the UN-imposed embargo on arms to Libya first introduced in 2011. Kartas was arrested at Tunis airport alongside a Tunisian national, and has been arraigned in front of a judge, who ruled he must stay in detention. Qatar, which has links to the UN-recognised government in Tripoli, called this week for the UN arms embargo against Haftar to be enforced more strictly. An armed group attacked a major air base in southern Libya held by eastern military commander Khalifa Haftar on Thursday after he moved most of his forces north to try to seize the capital Tripoli, officials said. 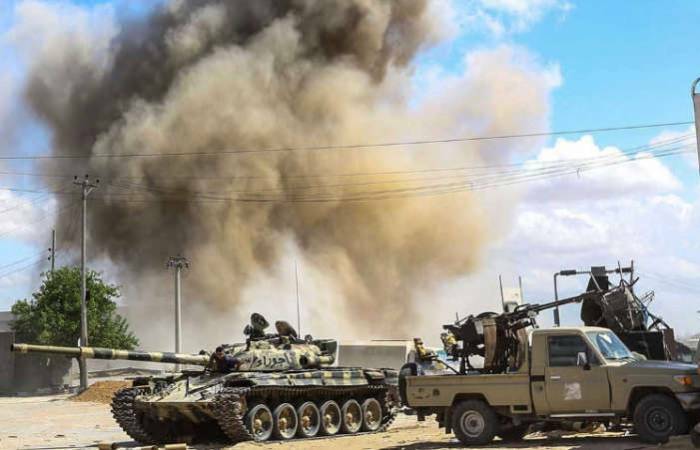 The eastern Libyan National Army (LNA) forces managed to repel the assault on the Tamanhint air base near Sabha , the main city in Libya's south , two eastern military officials said. An LNA soldier was killed at the base's main gate, one official said, describing the attackers as "militia". Haftar has concentrated his forces near Tripoli, using mainly the Jufrah air base but also Tamanhint to fly in materiel and send it on by road up north towards the Mediterranean coast. In Europe, France has given Haftar support in the past, viewing him as the best bet to end Libya's disorder. US markets reversed earlier gains and closed lower with the health care sector sinking on concerns over future policy changes. The Dow Jones Industrial Average slipped 3.12 points to 26,449.54 with the S&P 500 index losing 6.61 points, or 0.2%, to 2,900.45. European markets also moved away from their earlier gains with all indexes in the region posting losses except for Italy’s FTSE MIB. Maltese markets meanwhile reversed their earlier losses and ended higher, with the MSE Equity Total Return Index closing up 0.796% to 9,422.375. Calamatta Cuschieri Investment Services Ltd has not verified and consequently neither warrants the accuracy nor the veracity of any information, views or opinions appearing on this website. Global Saudi Arabia Defense Market with Aerospace & Defense category is expected to an extensive growth during the forecast period 2019-2024. Saudi Arabia Defense Market report provides in detail analysis of market with revenue growth and future trends. 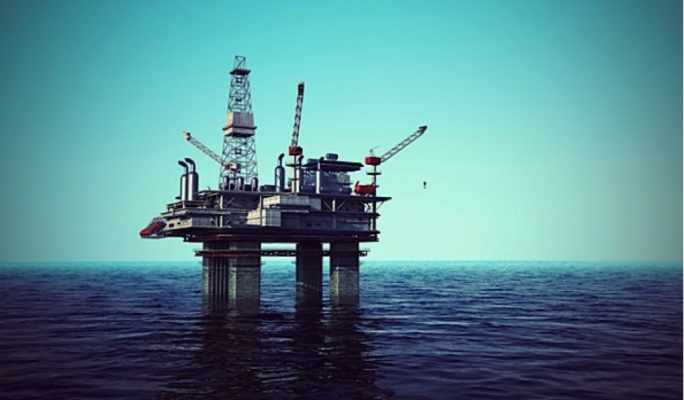 Get Sample PDF of Saudi Arabia Defense Market Report: https://www.absolutereports.com/enquiry/request-sample/14099172Market OverviewThe Saudi Arabia defense market is expected to register a CAGR of over 2%, during the forecast period. However, in the past two years, the government has reduced its defense spending to focus more on the education sector. The Government of Saudi Arabia plans to make its publicly held defense manufacturers hold more than 50% of its defense revenue share, by 2030.